In a ruling applauded by the conveyancing bar and title underwriters, Land Court Justice Robert Foster has dismissed a borrower’s challenge to a 2007 foreclosure sale even though the borrowers recorded an affidavit reflecting the alleged title defect within the time period set by the Act. This is the first court ruling that I am aware of interpreting the new Act Clearing Title to Foreclosed Properties. The Title Clearing Act, now codified in Mass. General Laws Chapter 244, section 15,was enacted by Gov. Baker last year in an effort to minimize the impact of several troublesome SJC rulings which cast doubt on titles coming out of foreclosures, including the seminal case of U.S. Bank v. Ibanez. The Act establishes a three-year deadline to bring a legal challenge to a foreclosure. To timely bring a challenge, an aggrieved homeowner must file lawsuit challenging the validity of the foreclosure sale, and must also record a copy of the lawsuit in the registry of deeds before the limitations period expires. The plaintiffs argued that even though the Act expressly calls for the timely filing of a copy of the complaint challenging a foreclosure sale with the Registry of Deeds, the timely recording of their affidavit provided sufficient notice of their claim to satisfy the intent of the statute. Because the plaintiffs failed to comply with §15’s requirement to record their amended complaint within one year of the effective date of the act, Dec. 31, 2016, the judge concluded that their wrongful foreclosure claims were barred. This is a great ruling for the conveyancing bar. Judge Foster’s decision furthers the underlying purpose of the statute to provide clarity of title in the wake of the foreclosure crisis and the Supreme Judicial Court’s 2011 decisions on wrongful foreclosure in Bevilacqua v. Rodriguez and U.S. Bank National Association v. Ibanez. The whole purpose of the act is to slowly clear away these defective foreclosure titles. It was also important for Judge Foster to clarify that so-called “5B affidavits” do not satisfy the act’s recording requirements. I have seen an increased prevalence of borrowers and attorneys recording bogus 5B affidavits in an attempt to cloud titles and shake down third party buyers and title insurance companies. The 23 page court opinion can be read below. The most recent foreclosure case heard by a Massachusetts appellate court should allow title underwriters and foreclosing lenders to sleep better at night. In Strawbridge v. Bank of NY Mellon, No. 16-P-1244, embedded below, Appeals Court Justice Peter Agnes upheld the MERS system of holding and assigning mortgages in Massachusetts as a “nominee.” Judge Agnes also ruled that the borrower lacked standing to raise defects in the pooling and servicing agreement by which the bank created a securitized mortgage trust, because she is not a party to that intra-lender agreement. This ruling should simultaneously benefit the housing market, while taking away a major weapon for foreclosure defense attorneys. The case was brought by well-respected foreclosure defense attorney Glenn Russell, Esq. who represented the borrower, Sandra Strawbridge. Attorney Russell’s cases are typically on the cutting edge of foreclosure defense law, and thus, should always be read with interest. Strawbridge challenged the foreclosure on the grounds that the Bank did not comply with Massachusetts foreclosure law after the SJC’s decision in Eaton v. FNMA which held that a foreclosing lender must establish it holds both the promissory note and the mortgage. (Title companies have issued comprehensive underwriting guidelines after the Eaton ruling). Strawbridge also claimed that MERS’s assignment of her mortgage to the Bank was void because the assignment occurred after a date established in the pooling service agreement (PSA) of the securitzed trust. In 2007, Strawbridge obtained a $370,000 mortgage from Countrywide Home Loans. The mortgage designated Mortgage Electronic Systems, Inc. (MERS) as the nominee for Countrywide. In 2009, Strawbridge defaulted on her note by failing to keep up with her mortgage payments. In February, 2010, MERS assigned Strawbridge’s mortgage to Bank of New York Mellon which held the mortgage as part of a securitized trust. A MERS “Assistant Secretary and Vice President” executed the assignment, which was notarized and recorded at the appropriate registry of deeds. Later, in March, 2015, a “Second Assistant Vice President” at the Bank’s loan servicer executed an “Affidavit Regarding Note Secured by Mortgage Being Foreclosed.” That affidavit states that the Bank is the holder of the note. In addition, in April, 2015, the Bank’s loan servicer executed a “Certificate Relative to Foreclosing Mortgagee’s Right to Foreclose Pursuant to 209 C.M.R. 18.21A(2)(c),” which certified that the Bank is the “holder of the Mortgage” and “the holder of the Note or is authorized agent of the Note holder with the specific authority to enforce payment and pursue foreclosure of the Mortgage on behalf of such Note holder.” Finally, in July, 2015, the Bank sent Strawbridge a notice of foreclosure sale, informing her that a foreclosure sale would take place in August. The borrower challenged the sale in the Superior Court which ruled against her. On appeal, Judge Agnes ruled that “MERS’s nominee status does not preclude it from validly assigning the mortgage, or does it limit MERS’s power to exercise a right of [foreclosure] sale.” The Court also rejected the borrower’s argument that the Bank is required to provide a complete chain of assignments of the mortgage, opting instead to hold the Bank to a less onerous standard of merely producing a single assignment directly from MERS, the last holder of record. Lastly, the judge ruled that the borrower lacked standing to raise defects in the pooling and servicing agreement because she is not a party to that intra-lender agreement. The impact of this decision is a reaffirmation that the MERS system of assigning mortgages remains legal and binding in Massachusetts. MERS mortgages account for the vast majority of conventional mortgage financing in Massachusetts. This ruling will also make it more difficult for distressed homeowners to challenge foreclosures, clearing the way for banks to sell REO property. I spoke to Attorney Russell about the case, and he indicated that he is considering taking an appeal up to the Supreme Judicial Court. So this may not be the last word on the matter. In a recent post-foreclosure eviction case before the Southeast Housing Court, Justice Anne Kenney Chaplin issued a head-scratching ruling that a third party purchaser at foreclosure was required to issue a 90 day notice to quit to the former owner. The ruling goes against the generally accepted rule of law that a foreclosed owner still in occupation of the mortgage premises is merely a tenant at sufferance, not entitled to any notice prior to an eviction. The case is Lenders Commercial Finance LLC v. Pestilli, 16-SP-03779, embedded below. This is a very troubling ruling which has the landlord-tenant legal community buzzing. In 2011, Bank of America foreclosed upon Bruce Pestilli’s home in Whitman, but Mr. Pestilli remained in occupation of the premises. As a side note, Mr. Pestilli filed a federal lawsuit challenging the foreclosure which was ultimately dismissed. Several years later in 2016, Lenders Commercial Finance LLC purchased the property from Bank of America and issued Pestilli a standard 30 day notice to quit, although such is not typically required in a post-foreclosure eviction. Lenders Commercial then filed an eviction action in Southeast Housing Court. Pestilli’s lawyer again challenged the validity of the foreclosure during the eviction case. Lenders Commercial filed sworn affidavits and certified documents demonstrating that the foreclosure was conducted lawfully. Judge Anne Kenney Chaplin heard the matter on a motion for summary judgment. Although the legal arguments were centered around the foreclosure title issues, Judge Chaplin raised the issue concerning the notice to quit on her own even though the tenant’s attorney did not even make that argument during the case. Judge Chaplin held that a 90 day notice to quit was required under M.G.L. c. 186, § 12 because there was no evidence that there was any agreement between Lenders Commercial and Pestilli to pay rent. Well, that’s not surprising because the vast majority of post-foreclosure occupants have not made any payments to anyone for a long time! Indeed, in this case, Mr. Pestilli has not made any mortgage or rent payments for some six years. Did Judge Make Major Legal Error? The ruling goes against long-standing Massachusetts case law concerning the rights of third party purchasers of foreclosed properties. Massachusetts courts have universally held that after default and foreclosure, a former mortgagor is a tenant-at-sufferance, i.e., an occupant who has lost his or her title to the premises with no further right to possession. Further, courts have held that tenant-at-sufferance are not generally entitled to a notice to quit. If this ruling is followed by other judges, it could give foreclosed owners another tactic to delay post-foreclosure evictions. Landlords and their attorneys should be aware of this ruling and prepared to push back that former owners are tenants at sufferance and not entitled to a 90 day notice to quit. While 2016 may have been a tough year for some, the new year brings some relief to those affected by foreclosure related title defects. For some homeowners saddled with bad titles due to improper foreclosures, when the Times Square ball dropped, their titles defects magically disappeared under The Act Clearing Title to Foreclosed Properties. They are now free to sell or refinance after waiting many years in most cases. The Act, now codified in Mass. General Laws Chapter 244, section 15, was enacted by Gov. Charlie Baker last year in an effort to minimize the impact of several troublesome SJC rulings which cast doubt on titles coming out of foreclosures, including the seminal case of U.S. Bank v. Ibanez. The Act, which I testified in support of at the State House, establishes a new three year statute of limitations for challenging foreclosures and clears titles with foreclosures conducted prior to Dec. 31, 2013, unless the homeowner brought a lawsuit and records it with the Registry of Deeds. Practice Pointer: Under the Act, any defective title stemming from a foreclosure completed prior to Dec. 31, 2013 is now cured, provided there is no legal challenge filed and complaint recorded with the Registry of Deeds and no other statutory exemption applies. Speak to your title underwriter or consult an attorney for guidance. The Act establishes a three-year statute of limitations period to bring a challenge to a foreclosure. To timely bring a challenge, an aggrieved homeowner must file lawsuit challenging the validity of the foreclosure sale, and must also record a copy of the lawsuit in the registry of deeds before the limitations period expires. The Act reaffirms the mortgagee affidavit requirements of the foreclosure law, including the provision that the recording of a valid affidavit is “evidence that the power of sale was duly executed.” The Act also provides that after three years from the date that the foreclosing lender records a validly executed affidavit, the affidavit serves as “conclusive evidence” that the power of sale was duly executed. The Act applies retroactively. To address constitutionality concerns, for mortgagee affidavits recorded prior to December 31, 2015, the statute of limitations period is the longer of the full three-year period or one year from the effective date of the Act, December 31, 2015. Thus, by the terms of the Act, for all foreclosures completed prior to December 31, 2013, the deadline to assert and record a challenge was December 31, 2016. For foreclosures completed between January 1, 2014 and December 31, 2015, the three year statute of limitations runs from the date of the foreclosure. No Relief to REO/Fannie Mae Owned Properties, But…. The Act does not apply to mortgagees, noteholders, servicers, their affiliates, or government entities like the Federal National Mortgage Association (Fannie Mae) and the Federal Home Loan Mortgage Corporation (Freddie Mac) that continue to hold title to properties following foreclosure sales. The Act only applies “arm’s length third party purchasers for value,” defined as a party who either (1) purchased the property directly at the foreclosure sale, or (2) purchased the property from the bank or another entity at some point after the foreclosure sale, to the extent the power of sale was not duly exercised.” While foreclosing parties, noteholders, and mortgagees will not benefit directly from the Act on properties that they own or service, they will benefit from the resolution of title disputes, the insurability of properties they formerly owned or foreclosed, and the validity of mortgages that they currently service. The Legislature clearly intended for the Act to resolve title defects arising out of the Ibanez case. But the Act, as drafted, is not limited to just Ibanez defects. It could also be applied to defects arising out of other SJC rulings, including Eaton (promissory note status), Pinti (cure notice) and Schumacher (cure notice). Because the Act is retroactive and silent as to what specific title issues it resolves, a recorded mortgagee affidavit could cure many other issues aside from Ibanez issues. We will see how title underwriters and the courts apply the Act in the months to come. As always, the best practice is to get your title underwriter’s opinion in an email and place in your file. Good news to report today! Massachusetts Attorney General Maura Healy has summarily dismissed a petition by the Massachusetts Alliance Against Predatory Lending (MAAPL) to repeal the Act Clearing Titles to Foreclosed Properties. The Act would automatically cure foreclosure related title defects after a one year waiting period. In a three-page letter to Secretary of State William Galvin yesterday, Healy wrote, “I have concluded that it is not lawfully the subject of a referendum petition.” Healy’s main citation for the denial is a clause in the state constitution that says no law related to the power of the courts can be subject to a voter referendum. As reported by Banker and Tradesman, Attorney Doug Troyer, co-chair of the Massachusetts Real Estate Bar Association’s Legislation Committee, said he thought the attorney general made the right decision. “It looked like the attorney general really took it into consideration, taking over 20 days to fully analyze all aspects in order to see if the petition could lawfully go to a referendum – and found that it couldn’t,” he said. Opponents to the Act vow they will challenge it in court. However, they need to find a live case which may be difficult. Going forward, the Act will remain law, and after the one year waiting period, most Ibanez related title defects will be automatically cured by operation of law. Good news for the market! A group of anti-foreclosure activists recently filed a petition to repeal the Act to Clear Title to Foreclosed Properties, which was signed by Gov. Baker just before the new year. The leader of the repeal effort is Grace Ross, the former gubernatorial candidate and coordinator of the Massachusetts Alliance Against Predatory Lending. The new law, which aims to protect homeowners who purchased foreclosed properties with defective titles, has already gone into effect, but activists are using a seldom-used referendum process to try to suspend the law and put it on the ballot in November 2016. However, they need over 43,000 signatures to do this. Ms. Ross struggled to get 15,000 signatures for her 2010 election bid. They also plan to sue to block the law, however, no lawsuit has been filed to date. The goal of the bill is to protect the rights of homeowners who legally purchased a house that was once foreclosed on. “Once a house has been sold to a third party, they shouldn’t have to worry forever about whether there was some problem with the mortgage way back when,” Brownsberger said. The Massachusetts Land Title Association, which represents title insurers, was the major proponent of the bill. (Disclaimer: I also testified in favor of the bill on behalf of the Boston Bar Association). Thomas Bhisitkul, president of the Real Estate Bar Association for Massachusetts, said the law will help homeowners who may be two or three owners removed from a foreclosure but who found themselves unable to sell or refinance after the Supreme Judicial Court ruling. I would be surprised if the activists’ repeal efforts are successful, and I am confident in the constitutionality of the new law. However, this being Massachusetts, anything is possible. I will, of course, keep the readers posted as to developments. Until the Attorney General, Secretary of State or a court says otherwise, the Act remains valid and in full force and effect. Attorneys, check with your title rep for specific guidance. As with this year’s blockbuster Star Wars — The Force Awakens, my prediction for an active and entertaining 2015 in Massachusetts real estate law has come to fruition. Without further ado and with a Star Wars theme, I present you with the top 5 “episodes” for the last year in Massachusetts real estate law. Heralded as the most comprehensive change to real estate closings in the last 20 years, the new TRID rules (Truth in Lending/RESPA Integrated Disclosure) have certainly lived up to their billing. If TRID were a Star Wars character, it would be Kylo Ren of the First Order, smashing and destroying the old way of doing closings with his scarlet cross-guard lightsaber. The new rules went into effect on October 3, and the real estate industry has been, by and large, scrambling to get up to compliance speed with the new regulations. The new “Closing Disclosure” is quite convoluted with far too much information, and also necessitates a separate “seller” closing disclosure. So, the old three page HUD-1 form has turned into two forms with seven pages. That’s the government for you… There is also a 3 day waiting period for closings to be scheduled after the issuance of the new Closing Disclosure. Some lenders have been great getting the “CD” out on time. Some others, not so much. In my estimate, I would say that at least 50% of my transactions have been delayed due to TRID related issues. For 2016, I predict continued delays and compliance issues for the first two quarters of the new year, with things hopefully smoothing out for the spring market. Oh, did I already tell you that I miss the old HUD-1 Settlement Statement already! The summer saw the SJC come down with its long awaited ruling on independent contractor classification in Monell, et al. v. Boston Pads, LLC. After much lobbying from the industry, the Court ruled that Massachusetts real estate and rental agents can remain classified as independent contractors under the state’s real estate licensing and independent contractor law. The ruling keeps the traditional commission-only independent contractor brokerage office model in place, with brokers allowed to classify agents as 1099 independent contractors, without facing liability for not paying them salary, overtime or providing employee benefits. However, like the plot holes in The Force Awakens, the Court left open a few important questions such as whether agents could build a case on other legal theories. In 2016, look for the Legislature to address the murkiness which remains with the law. If Gov. Charlie Baker were a character out of the Force Awakens, he would be the hotshot Resistance pilot Poe Dameron, swooping down in his X-Wing fighter and saving the day for thousands of Massachusetts homeowners who have been unable to sell or refinance their homes due to foreclosure title defects. After a five year legislative struggle (in which I testified before the Legislature), Gov. Baker signed into law the Act Clearing Title To Foreclosed Properties. The bill will resolve potentially thousands of titles which were rendered defective and un-transferable after the SJC’s landmark ruling in U.S. Bank v. Ibanez. There is a one year waiting period, but after that we should start seeing previously unsellable homes start to come back on the market. After a five year legislative struggle (in which I testified before the Joint Judiciary Committee), I’m very pleased to report that Governor Baker has signed into law the Act Clearing Title To Foreclosed Properties (Senate Bill 2015), embedded below. The bill will resolve potentially thousands of land titles which were rendered defective and un-transferable after the SJC’s landmark ruling in U.S. Bank v. Ibanez. The Ibanez ruling invalidated thousands of foreclosures across the Commonwealth due to lenders’ paperwork errors. The problem addressed by the legislation is that scores of innocent buyers purchased these foreclosed properties, fixing them up, renting them out, etc., but they were unaware of the title defects — only to discover them once they went to refinance and sell. Title insurance companies have been bogged down trying to solve these defects, and in the meantime, many of these innocent folks are left with homes which cannot be sold or refinanced. The same bill passed the Legislature last year, but former Gov. Patrick, bowing to housing activists, vetoed it with a poison pill. After several amendments addressing housing activists’ concerns, a new bill was again passed, and just signed into law by Gov. Baker on November 25, 2015. The bill, which is effective on Dec. 31, gives foreclosed owners a three (3) year statute of limitations to file a challenge to a foreclosure, after which the foreclosure is deemed to have been conducted legally. For foreclosures which have already been concluded, the new law has a one year waiting period, so that a defective foreclosure would be considered non-defective on Dec. 31, 2016. The bill does retain a homeowner’s right to seek compensatory and punitive damages for a wrongful foreclosure, provided it is within the statute of limitations. The bill also requires the Attorney General’s Office to spearhead more robust foreclosure prevention solutions with the HomeCorps Program and housing activists groups. The passage of the bill is fantastic news for both owners and potential buyers/investors of foreclosure properties. There is a shadow inventory of defective title properties which will be able to go on the market. The bill was sponsored by Millbury Democrat Michael Moore whose office (especially Julie DelSobral) worked tirelessly for the passage of the Act. In the aftermath of the Supreme Judicial Court’s July 17th ruling in Pinti v. Emigrant Mortgage Company, which voided a foreclosure over a defective notice of default, two leading title insurance companies — First American Title and Fidelity/Chicago — have announced that they will be significantly changing the manner in which they underwrite foreclosed properties. These new policies will make it much harder to insure foreclosed properties, and may dramatically affect the sale and marketability of foreclosed/REO/bank owned properties. The most drastic change comes from First American, which has the largest market share in Massachusetts. Under FATICO’s new policy (embedded below), lenders must obtain a judicial decree that the foreclosure was conducted in compliance with the Pinti ruling. (This applies only to foreclosures conducted after July 17, 2015). Because Massachusetts is a non-judicial foreclosure state (i.e, lenders do not need a judge’s approval to foreclose except for confirmation that the borrower is not in the active military), getting court approval for a foreclosure will require either a Superior Court or Housing Court action and will be expensive, lengthy and burdensome for lenders. The question is whether the other title insurance companies will follow suit. As of this writing, Stewart, CATIC, Old Republic and Westcor have not adopted a new foreclosure underwriting policy. I will monitor if that changes. These underwriting changes only underscore the importance of the Legislature passing the Act Clearing Title to Foreclosed Properties, Senate Bill 1981. The bill would protect arm’s length third party purchasers for value, and those claiming under them, who purchase at the foreclosure sale or in a subsequent REO transaction. It is the result of years of negotiation, and represents an honest effort to balance the interests of third party purchasers with mortgagors who legitimately believe they have been wrongfully foreclosed upon. Lenders who have conducted defective foreclosures would remain liable to the mortgagors. This is the same bill that was passed by both branches of the legislature at the end of the legislative session last fall, but was sent back with poison pill amendments by Governor Patrick and died. The bill should be voted on by the Senate soon after Labor Day. If passed, it will be considered by the House shortly afterward. In a decision which could affect how title examiners and title insurance companies underwrite title to foreclosed properties, the Supreme Judicial Court has ruled that a lender’s defective notice of default is grounds to void and nullify a foreclosure sale — even after the property was purchased at auction by a third party without knowledge of the problem. The decision is Pinti v. Emigrant Mortgage Co. Inc. (SJC-July 17, 2015). The defective aspect of the default notice was relatively minor. The notice was required to say that the borrower had the right to bring “a court action” to challenge the default or foreclosure. The actual notice instead referenced a “lawsuit for foreclosure and sale.” The problem is that in Massachusetts there is really no such thing as a lawsuit for foreclosure, because we are a non-judicial foreclosure state. In order to challenge a foreclosure, a borrower must bring an injunction proceeding in Superior Court. Over this minor discrepancy, the Court throw out a 3 year old foreclosure, leaving the subsequent buyer with defective title. This ruling had a disastrous impact on the foreclosing lender and the buyer of the property at foreclosure (and his title insurance company, presumably). The borrower, who was represented by Greater Boston Legal Services, stopped paying her mortgage six years ago in 2009, and the lender foreclosed in 2012. A third party purchased the property (with the borrower in occupancy) shortly thereafter, then commenced eviction proceedings. It appears that the borrower has been able to live in the premises for the entirety of the litigation, presumably mortgage payment free. After this ruling, the lender will need to re-start foreclosure proceedings from square one. Change In Title Exam Practices? In a typical title examination involving a previously foreclosed property, the examiner and attorney will only look at the foreclosure notices and “green cards” — the certified mail foreclosure notices. In light of this ruling, the examiner may be required to look back even further to the default notices sent by the lender (which are not recorded with the registry of deeds) and ensure compliance with the mortgage and loan documents. Attorneys should consult their title companies for guidance on this ruling. (The ruling’s effect is prospective only; a title insurance company that I work with has already stated that they will not be changing their underwriting standards after Pinti). The SJC’s reasoning for requiring strict compliance with the default notice provisions in the mortgage was based on the fact that Massachusetts uses a non-judicial foreclosure process. That is, lenders do not need a judge’s approval to start foreclosure (with the except that they need Land Court approval that the borrower is not in the armed services). Accordingly, even the most hyper-technical defect in a default notice by the lender could render a foreclosure void. Following a long series of pro-borrower rulings starting with the historic U.S. v. Ibanez decision, the SJC’s decision in this case is yet another cautionary tale to lenders that they must dot their “i’s” and cross their “t’s” before conducting a valid foreclosure sale. In response to the foreclosure crisis, HUD enacted regulations requiring lenders to provide distressed borrowers with a meaningful opportunity to settle their FHA-insured mortgages and obtain a loan modification during a face-to-face interview. In an effort to accommodate the hundreds of Wells Fargo clients facing foreclosure in Massachusetts, the San Francisco based lender held a mass “homeowner’s workshop” at Gillette Stadium in August 2008. Three months behind on their Mattapan mortgage, Nancy Cook and her daughter showed up to the stadium with a little over $10,000 in cash, in anticipation of signing a repayment plan. After waiting in a long line, Cook received a ticket and sat down with a bank representative. Despite HUD guidelines requiring that loan representative have actual authority to settle accounts and enter repayment plans, the Wells Fargo representative said that he was unable to accept any payments at the event. The counseling session lasted only 15 minutes, but the reprepresentative promised that Ms. Cook would receive a loan modification package in the mail. Ms. Cook did receive a Special Forbearance Agreement in the mail, which she accepted, and made the first three payments under the agreement. When she went to make the fourth payment, Wells Fargo rejected it, claiming that Cook owed it $2000 more than the scheduled payment. Wells Fargo then issued a default notice, accelerated Cook’s debt, and foreclosed her home. Several years after completing the foreclosure sale, Wells Fargo brought an eviction case against Cook and her daughter, who at this time were represented by lawyers from Harvard University Legal Aid. (The reason for the long delay is unclear). Boston Housing Court judge Marylou Muirhead ruled against Cook, clearing the way for her eviction. On appeal, Appeals Court Justice Scott Kafker halted Cook’s eviction, ruling that the Housing Court judge should reconsider whether the Gillette Stadium mass counseling event complied with HUD guidelines. Justice Kafker noted that a reoccurring theme of the HUD rules is to provide personalized consideration for each homeowner. That apparently was not done, said the justice, or at least there is a dispute as to whether the mass Gillette Stadium event could satisfy that guideline. Of particularly interest to the real estate conveyancing community, the Court held that if the lower court ultimately rules that the counseling session was insufficient, the lender could be found in noncompliance with the mortgage terms and foreclosure power of sale, and its foreclosure could be deemed defective and invalid. A court holding to this effect could potentially invalidate completed foreclosures of FHA insured mortgages over whether the lenders complied with the face-to-face meeting requirements of the HUD guidelines. Ensuring a lender’s compliance with HUD rules is not typically part of a title examiner’s scope of examination. Lenders would need to provide an affidavit certifying that all pre-foreclosure counseling requirements were complied with. Accordingly, this is yet another reason why obtaining an owner’s title insurance policy is a prudent choice for all buyers of foreclosed properties. After Deutsche Bank foreclosed his Newton home, Thomas Abate brought a lawsuit in the Land Court challenging the foreclosure under the “try title” procedure under General Laws chapter 240, sections 1-5. Seeking to invalidate the foreclosure, Mr. Abate utilized the popular defense of attacking the assignment of his mortgage from MERS (Mortgage Electronic Registration System) to Deutsche Bank. After several months of legal wrangling in the Land Court, Judge Robert Foster dismissed Abate’s challenges to the MERS assignment, and dismissed his try title claim. Abate then appealed to the SJC. Prior to the SJC’s ruling, there was confusion in the foreclosure setting regarding the proper method to determine whether the property owner had legal standing to bring a try title case and whether the owner must bring the case before or after the foreclosure. Putting the proverbial nail in this particular foreclosure defense coffin, the SJC held that a borrower can only use the try title procedure after a foreclosure has been concluded, not before. The Court also ruled that lenders can seek to test borrowers’ legal theories and dismiss these claims very early in the proceeding on a motion to dismiss. The net result is a blow to foreclosure challengers — borrowers must wait until after a foreclosure is completed to bring a lawsuit; and it will be easier for lenders to dismiss claims challenging mortgage assignments and the foreclosures based on such assignments. Well from a homeowner’s perspective I have to say that I was hoping for a different outcome, however it’s not all bad. Bottom line, borrowers cannot use try title unless the auction happened, or they can make argument that there never was a legally valid mortgage, or one is trying to enforce a void mortgage, or one that has been discharged. The key thing is that a homeowner cannot bring a try title claim (standing under the “first step” of the try title action), unless the mortgage is foreclosed. With the economy improving as well, the net effect is likely to be less foreclosures and less legal challenges to them — which will only continue to boost an improving housing market. A link to the Abate v. Fremont Investment & Loan (SJC-11638) opinion can be found here. In another court ruling against embattled homeowners facing foreclosure, the Massachusetts Appeals Court has ruled that a defective 150 day cure notice is not a valid defense to a foreclosure sale. The case is Haskins v. Deutsche Bank (click for link to case). The ruling will make it more difficult for distressed homeowners to challenge foreclosure and could accelerate the pace of pending foreclosures. The 2010 Foreclosure Prevention Act requires that foreclosing lenders provide a borrower with a 150 day right to cure prior to starting a foreclosure proceeding. The notice must identify the current “holder” of the mortgage. Before this ruling, some trial courts had ruled that a bank’s failure to strictly comply with those requirements was sufficient grounds to halt a foreclosure sale. In the Haskins case, the borrower challenged his foreclosure on technical grounds because the cure notice incorrectly identified the holder of the mortgage as IndyMac Mortgage Services. IndyMac was the mortgage servicer and mortgage was legally held in a securitized trust operated by Deutsche Bank. Justice Mark Green, a former Land Court judge and former banking general counsel, recognized that today the vast majority of residential mortgages are serviced by large mortgage servicers while owned and held in securitized trusts. Rejecting the borrower’s form-over-substance argument, Justice Green ruled that as long as the borrower receives an accurate cure notice with the correct loan balance information and payment address so the borrower can pay up and cure, an erroneous identification of the actual mortgage holder should not affect the validity of the pending foreclosure. Massachusetts foreclosure defense attorney Adam Sherwin, who represented the borrower, put up a valiant fight in this case. However, with this ruling and several recent decisions before it, foreclosure defense attorneys have suffered several setbacks in the courts, making it more difficult for distressed homeowners to challenge and stop foreclosures. Acceding to the demands of fair housing community activists, Massachusetts Governor Deval Patrick has rejected Senate Bill 1987, An Act Clearing Titles to Foreclosed Properties. The bill would have cleared title of homes affected by defective foreclosures with a one year waiting period from enactment of the bill while giving homeowners three years to challenge wrongful foreclosures. The Governor filed an amendment to the bill, raising the statute of limitations for homeowners to challenge foreclosures from 3 years in the current bill to 10 years. The Senate and House are unlikely to agree on such an absurdly long statute of limitations, so Patrick’s action should effectively kill the bill. This is truly devastating news for the thousands of innocent homeowners who are stuck with bad title due to botched foreclosures. The bill had cleared the Senate and House with near unanimous support. The bill also received favorable press in the Worcester Telegram and Boston Globe. The bill preserves the right to challenge foreclosures and sue the banks, while helping innocent homeowners stuck with bad title. Despite this, organizations such as the Massachusetts Alliance Against Predatory Lending and activist Grace Ross were successful in getting Governor Patrick on their side. Massachusetts is emerging from a period of far too many foreclosures, on far too many families, and in far too many communities facing significant economic challenges. It is no secret that, too often, the foreclosure was not properly effectuated. The entity purporting to foreclose did not have the legal authority to do so. The effect of these impermissible foreclosures has been lasting. Families were improperly removed from their homes. Buyers who later purchased the property — or, at least, believed they had done so — are now faced with title questions. Many of these buyers were investors, but many are now homeowners themselves. I commend the Legislature’s effort to address these problems. But I believe the proposed three year period is insufficient. A family improperly removed from its home deserves greater protection, and a meaningful opportunity to claim the right to the land that it still holds. The right need not be indefinite, but it should extend for longer than three years. Certainty of title is a good thing — it helps the real estate market function more smoothly, which ultimately can help us all. But this certainty should not come at the expense of wrongly displaced homeowners or, at least, not until we have put this period further behind us. As a long time supporter of this bill, I am truly disheartened at this result. I thought the bill did a great job in balancing the rights of innocent home buyers who are stuck with unsellable properties through no fault of their own with the rights of folks who are fighting foreclosures. A three year statute of limitation — which is the same length for malpractice and personal injury claims — is a reasonable amount of time to mount a challenge to a foreclosure, especially when debtors have many months prior notice before a foreclosure sale. The people who would have benefited from this bill are everyday people who bought properties out of foreclosure, put money into them and improved them. I have personally assisted several of these families. Everyone agrees that the banks are largely at fault for the mess left behind with the foreclosure crisis but why put the rights of those who don’t pay their mortgages above those who do? I will never understand this rationale. Perhaps that’s why I could never be in politics! So where do we go from here? I honestly don’t know. Fortunately, the Land Court recently issued a ruling which may help clear some of these toxic titles. Maybe the legislation will get another chance at the next session or when Patrick leaves office at the end of the year. It appears we may be nearing the end of the misery resulting from the infamous U.S. Bank v. Ibanez foreclosure decision, which has caused hundreds if not thousands of title defects across the Commonwealth. A recent Land Court ruling combined with significant movement on curative legislation may clear the vast majority of these defective titles. By way of background, titles of properties afflicted with Ibanez title defects came out of faulty foreclosures, and in worst cases, cannot be sold or refinanced. Many homeowners have been waiting for 5 years or longer for some kind of resolution so they can sell or refinance their homes. This past week on July 23, 2014, Land Court Justice Keith Long (ironically the same judge who wrote the original Ibanez ruling) held that an Ibanez title can be cleared through the foreclosure by entry procedure as long as three years have passed since the faulty foreclosure. Typically in Massachusetts lenders use both the power of sale/auction method and entry method of foreclosure. Unlike the power of sale/auction method, however, a foreclosure by entry takes three years to ripen into good title. Judge Long ruled that even where the power of sale/auction method was defective due to non-compliance with the Ibanez decision, the foreclosure by entry method would not be affected by this non-compliance provided that the lender was the “holder” of the mortgage at the time of the entry and three years have passed since the entry. So what does that mean in plain English? It means that titles with Ibanez defects may be insurable and marketable provided that (1) the foreclosing lender conducted and recorded a proper foreclosure by entry, (2) the entry was conducted by a lender who was the proper holder of the foreclosed mortgage, and (3) three (3) years have passed since the foreclosure entry. If you have been dealing with an Ibanez defective title, it’s best to contact an experienced title attorney and/or your title insurance company (if you have one) to see if you qualify. Feel free to contact me at rvetstein@vetsteinlawgroup.com. Thank you to Attorney Jeffrey Loeb of Rich May PC for alerting me to the Land Court case. Senate Bill 1987, sponsored by Shrewsbury State Senator Michael Moore and the Massachusetts Land Title Association, would render clear and marketable to any title affected by a defective foreclosure after 3 years have passed from the foreclosure. The bill, which has been passed by the Senate and is now before the House, is very close to being passed by both branches of the legislature, hopefully during this summer legislative session. This is great news for the real estate market. I don’t have firm numbers, but there are probably hundreds, if not thousands, of these unsellable properties just sitting on the sidelines, and now they can get back onto the market. This is exactly what the inventory starved market needs. Last week, the Supreme Judicial Court decided yet another important foreclosure case, U.S. Bank v. Schumacher (embedded below). The issue considered in Schumacher was whether a foreclosing lender’s defective 90 day notice to cure was a defense in a subsequent post-foreclosure eviction (summary process action) by the borrower. The SJC said no it was not a valid defense, as it should have been raised much earlier in the legal process in a separate action in the Superior Court. Schumacher considered a 2007 law requiring that foreclosing lenders provide a borrower with a 90 day right to cure prior to starting a foreclosure proceeding. Before Schumacher, some trial courts had ruled that a bank’s failure to strictly comply with those requirements was fatal to a foreclosure sale. In such cases, even a post-foreclosure buyer of the property would have potentially defective title. From a title perspective this result was especially problematic since a bank’s compliance or non-compliance with §35A would not appear in the property’s title at the registry of deeds. By holding that a defective cure notice is no defense to a post-foreclosure eviction, the SJC has made it more difficult for distressed homeowners to challenge the legality of foreclosures in eviction cases. On the flip side, the ruling will help buyers of foreclosed property as it makes their titles less susceptible to challenge by the previous owners. Good news to report for property owners saddled with toxic titles resulting from the seminal U.S. Bank v. Ibanez foreclosure ruling. Massachusetts lawmakers are poised to pass into law a new bill aimed at legislatively clearing up all of these defective titles. By way of background, properties afflicted with Ibanez title defects, in worst cases, cannot be sold or refinanced. And homeowners without title insurance have been compelled to spend thousands in legal fees to clear their titles, while some have not been able to clear their titles at all. The new legislation, Senate Bill 1987, would render clear and marketable any title affected by a defective foreclosure after 3 years have passed from the foreclosure. Most of these toxic titles were created prior to 2009, so the vast majority of them will be cleared up. The bill does preserve any existing litigation over the validity of foreclosures. The legislation does not apply if there is an existing legal challenge to the validity of the foreclosure sale in which case record notice must be provided at the registry of deeds. The bill also does not shield liability of foreclosure lenders and attorneys for bad faith and consumer protection violations over faulty foreclosures. The bill has recently been passed by the Senate and now moves on to the House. Word is that it should pass through the House and on to the Governor’s Desk. Shrewsbury State Senator Michael Moore and the Massachusetts Land Title Association have sponsored this effort for several years now. I have been supporting this effort as well. (Hat tip to Colleen Sullivan over at Banker and Tradesman for passing along this important information). 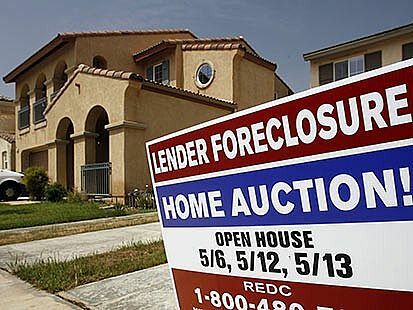 Giving an early Christmas present to distressed homeowners, the Supreme Judicial Court today ruled that a foreclosed upon homeowner may challenge a bank’s title and foreclosure sale irregularities through counterclaims in a post-foreclosure eviction in the Housing Court — rather than being forced to file a separate equity lawsuit in the Superior Court. The case is Bank of America v. Rosa, SJC-11330 (Dec. 18, 2013). The high court also held that the Housing Court has jurisdiction to hear other counterclaims against foreclosing lenders, including fair housing, consumer protection (Chapter 93A), and HAMP related claims. The likely impact of this ruling will be that the already busy Housing Court will now be “Ground Zero” for foreclosure related litigation. Foreclosed property owners will have more weapons to delay and prevent being evicted after foreclosures. The ruling is embedded below. (Click for link).